Modern CVs usually come with a photo, so you need do make sure your headshot isn’t keeping you from getting your next job. 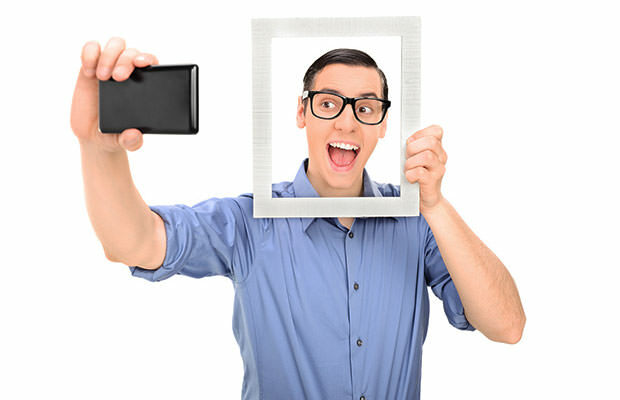 If you, on the other hand, don’t prefer including your photo in your resume, your future employer will probably be looking at your LinkedIn, Facebook, or Instagram profiles, which is why you still need a professional photo to best market yourself online. So let’s see go over the 5 most common headshot mistakes that guys (and gals) tend to make. Your fraternity involvement on your resume is great, but it is time to grow up and have a decent profile pic. Don’t use a photo in which you are making any kind of gesture with your hands. Save your west side, east side, R’n’R or peace gestures for some other time. People often forget that the expression might be a deal breaker. A wide or weird grin might make you look fake or creepy. But don’t go too far and have a headshot with a catatonic blank stare. You need to be able to keep your personality. A slight smile and a hint of a grin will do the trick. Make sure to keep your clothing simple and in line with your everyday style. If you are hiring a professional photographer, ask him if you can try out multiple outfits, so you can find what really works for you. Go for a balance between casual and corporate. You need to remember one thing – profile pics don’t really age like fine wine. Yes, that 2009 snap of you looks awesome, but it is time to move on and accept your current self. It is recommended that you update your resume photo every 2 years, or every time you significantly change your appearance. As simple as that – don’t wear sunglasses, no matter how cool they make you look. Your future employer wants to be able to see that sparkle in your eye!